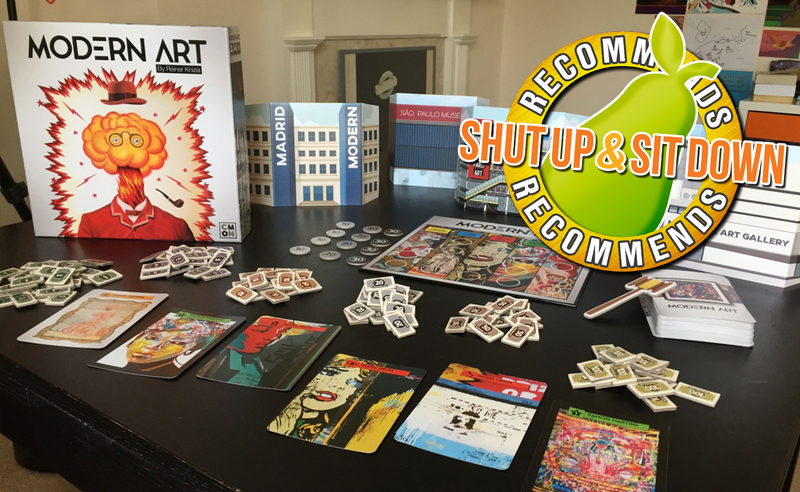 Quinns: With CMON’s new edition of Modern Art, a game of blisteringly quick and dangerous art auctions, Shut Up & Sit Down continues its exploration of classic Knizia. 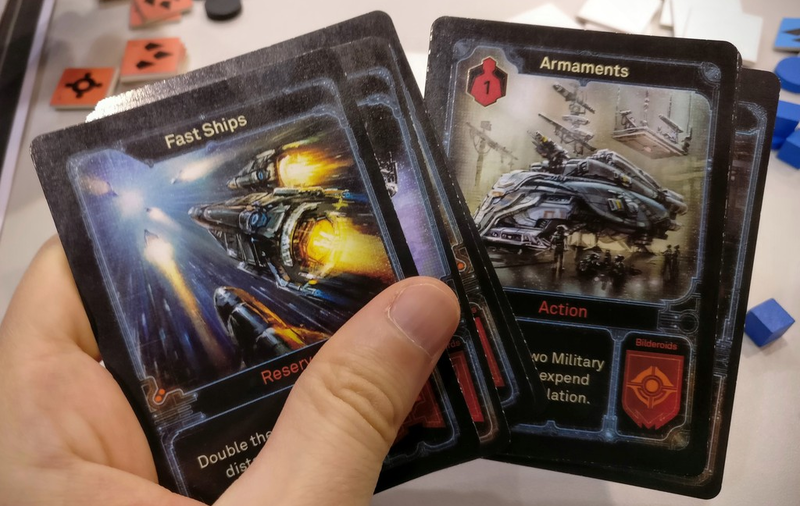 Just who is Reiner Knizia? Where did he come from? What is he doing? We’ve interviewed him and I still don’t know. All I can tell you is that he’s responsible for more than 500 games, literally some of which are good. 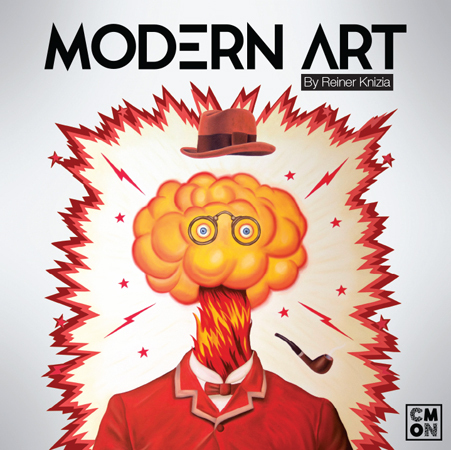 But Modern Art isn’t just the oldest Knizia game we’ve ever reviewed. With the exception of 1981’s Consulting Detective, I think this is the oldest game we’ve reviewed, period. It came out way back in 1992, when Paul was celebrating his 30th birthday and Matt hadn’t even been born yet. Can you feel it? This site is trembling with time right now. Slip inside my cardboard Tardis. Let’s see if the years have been kind. Quinns: Hello everybody! So glad you could meet me here, at the Games News pub. It's my round! Who's for a pint of news? [points at you] News and soda, was it? It's happy hour, so we're going to start out with a double news on the rocks. 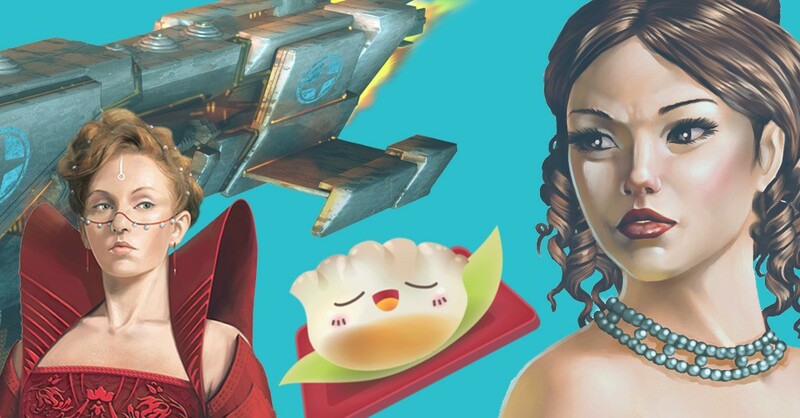 The nonsense-mongers at Hasbro have just unveiled two new games. 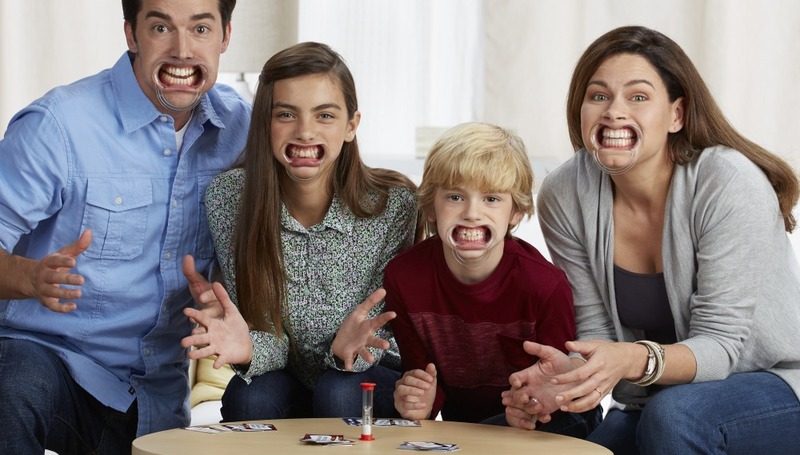 Speak Out: Kids vs Parents is a familial evolution of their game Speak Out, both of which feature your team trying to work out what the hell you're saying while you wear a dentist's cheek retractor. Doesn't that sound like a game we'd make up as part of a skit? I can only approve that Hasbro has made it a reality. The press image for it (above) is freaking me out, though. The combination of Habro's clean-cut toy photography (which has always looked a little "uncanny valley" to me) with rictus grins is absolutely terrifying. Imagine coming downstairs and finding them in your living room. "WOULD YOU LIKE TO PLAY A GAME," bleats the mother, spraying spit across the room.